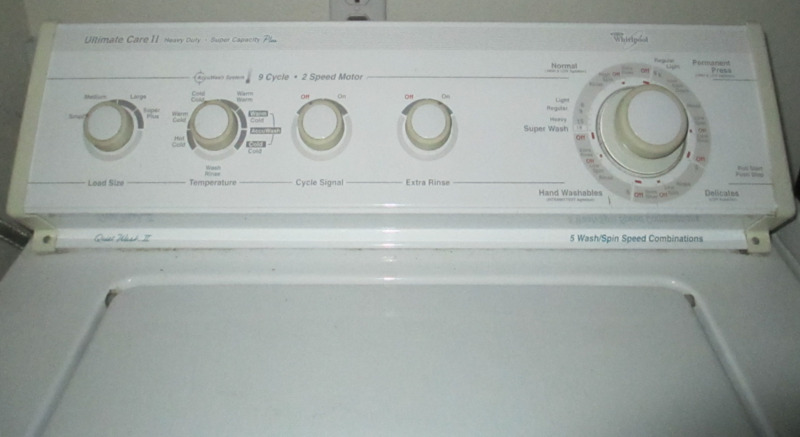 When I sold my washer, I had to figure out how to efficiently wash and dry clothes for my entire family. Now I'm sharing my tips with you. So there we were, saying our final goodbyes to each other as they were carried out the front door. 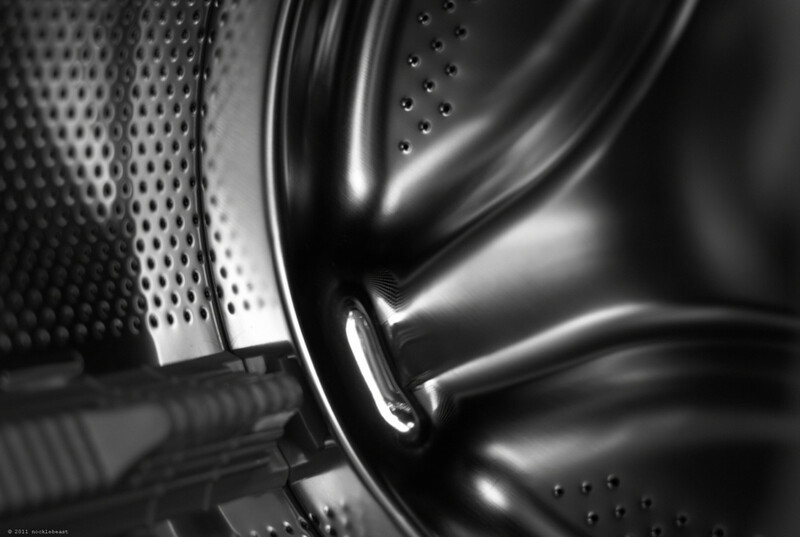 That was the last time I saw my washer and dryer—appliances that had been through hundreds of loads with my family and offered a convenience I currently find myself missing. 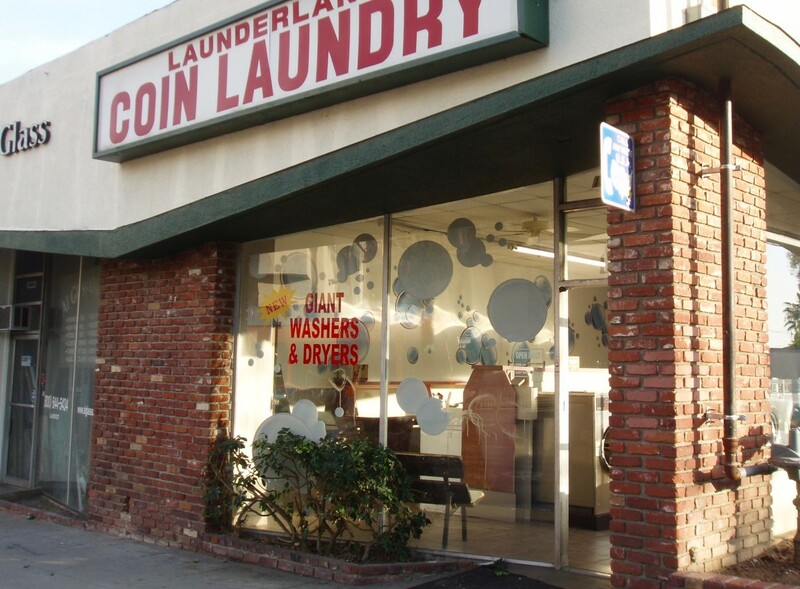 By now, you're probably wondering how my family's laundry gets done. Most days, I am there wondering the exact same thing. After heated arguments with my significant other, pregnancy emotions on high, and lots of regret, I got down to the nitty gritty. I had a bathtub, laundry detergent, 1/4" nylon rope, and too much dirty laundry. 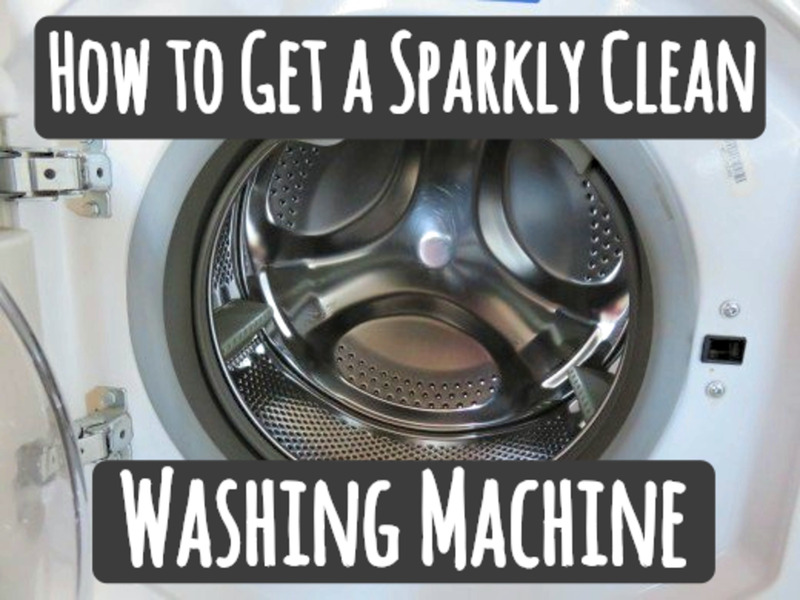 I figured out an easy 6-step solution to handwashing dirty clothes without a washing machine, and I never looked back. To wring clothes without a wringer, buy an industrial bucket with a wringer, which I highly recommend because traditional clothes wringers range $90–$200+. I searched to no avail for a cheaper wringer, so trust me when I say, the industrial bucket works amazingly well at a fraction of the cost. Fill your tub with cool water. Add an appropriate amount of detergent and a splash of vinegar. Mix evenly. Add in the clothes and start agitating. You can use your hands, a plunger with holes in it, or a pole. Wring your clothes out (you can use your hands or a wringer, but a wringer works best). Throw the wrung clothes into a laundry basket. Drain the tub and refill it with clean, cool water. Add back the clothes and agitate again. Then wring out the clothes again, and hang to dry. Fill it only high enough to cover all your clothes. I wash clothes when the laundry basket is full, which is exactly one load of hand washing (about 1/2 a load in a traditional washer). Cool or cold water is better than hot water because it doesn't fade, shrink, or damage the fabric. It's also eco-friendly because it saves on energy needed to heat the water. Warm water (90°F) is only appropriate when washing knits, jeans, and man-made fabric that are heavily soiled. Otherwise, cool water is the best option all-around. Separate whites and darks. Delicate fabrics, such as silk, cashmere, wool, and lace should also be washed separately from everything else. Add detergent and a cup of vinegar into the tub, and use an agitator to mix everything evenly before adding the clothes. Vinegar acts as a bleach and softener substitute, so your whites will be bright, your clothes will be soft, and your stains will be gone. Follow instructions on the package of your detergent to determine how much should be added. 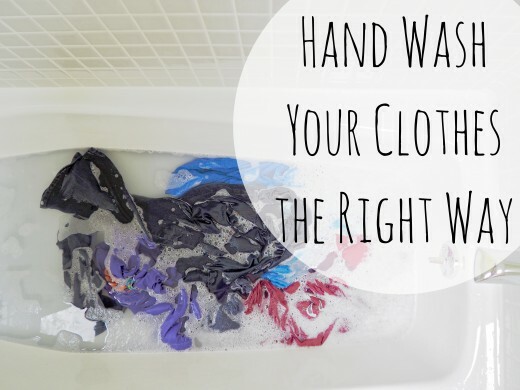 If you have heavily soiled clothing, then it's best to let the clothes sit in the water for a while. Otherwise, get to agitating! You can use your hands (I use my hands and it's rather fun), a plunger with holes in it, or a pole to stir the clothes. You just need something to swish the clothes around rather violently. This is where the wringer becomes your absolute best friend. From my first few failures, I learned that super wet and soapy clothes don't rinse easily. So don't be like me. 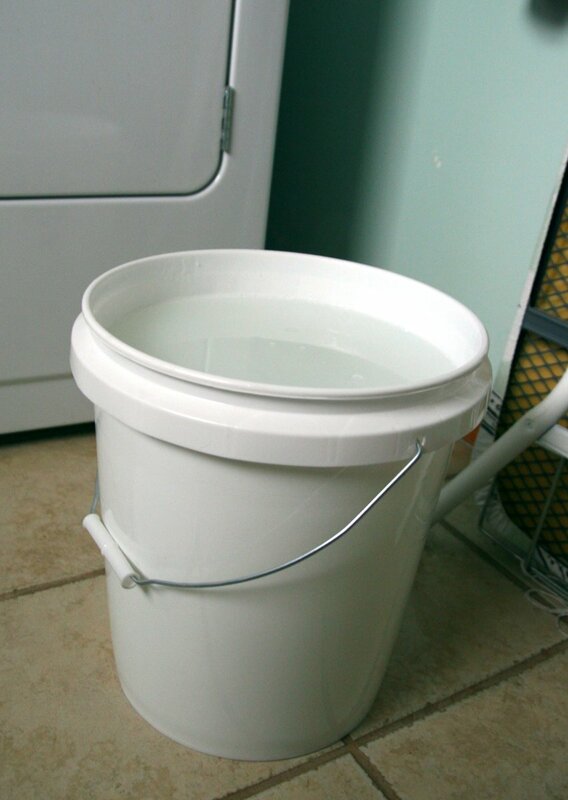 Wring first, and throw the clothes in your laundry basket so you can drain the tub and fill it up with clean water. Drain the tub and fill it up again with cool to cold water. 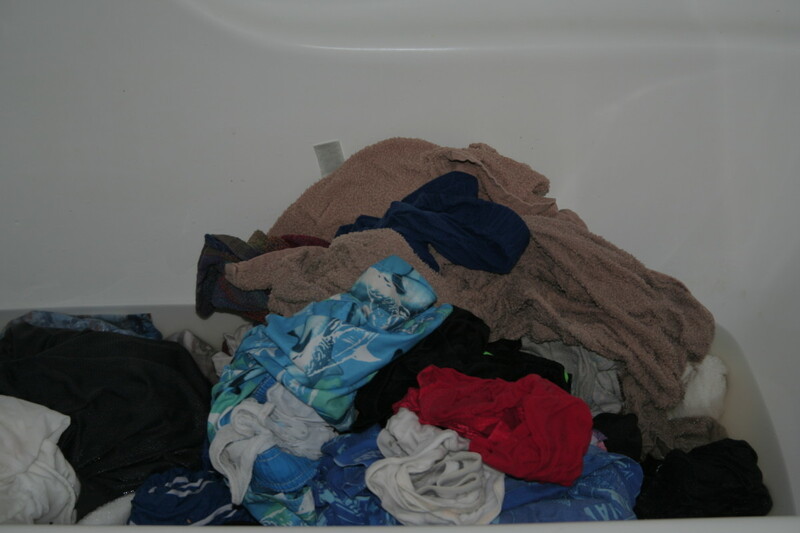 Dump the clothes right back in and do some more agitation. Then drain the tub, and wring them all over again. This time, take care to squeeze out as much water as you can before hanging them. Super-wet clothes take hours to dry on the line, whether inside or out. I know because I hand-wrung my first few loads and couldn't get them dry enough. 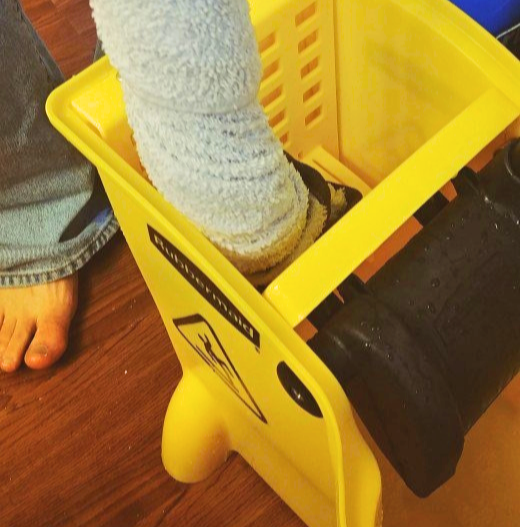 Buy an industrial bucket with a wringer. Trust me on this one! Unless you have "man hands"—meaning hands that are used daily in some type of demanding job—please don't try to hand-wring them. I did it. I wanted to curl in a corner and die less than halfway through the load—and I hadn't even rinsed them yet. My hands were burning so bad that I would rather them be dipped in acid and fall off then ever do that again. All your clothes wrung? Feeling super accomplished? Ready to sink into your bed and take a nap? Not yet! You've still gotta dry them. I would recommend you have at least two lines—one for outside and one for inside to cover in the event of rain. Hanging clothes outside is the fastest way to dry them because their is ample ventilation outdoors. We have nylon rope and a green, wind-resistant, hanger-friendly line outside on the patio or yard. Find a shaded area to hang them. 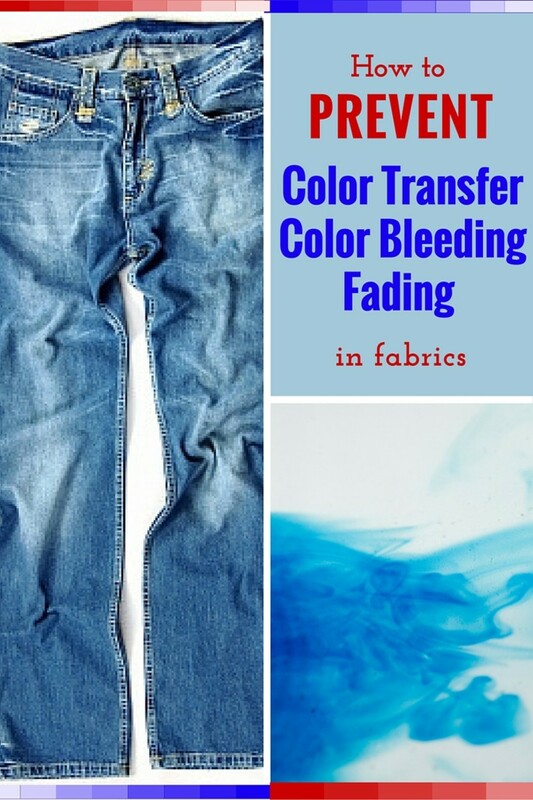 Never hang them in direct sunlight or else the fabric's color will fade or even get damaged. You can also use your bathtub. Hang a line over your tub or even use a shower rod (placed on your long back wall). Then use hangers with some clothespins (for the smaller clothes like socks and underwear), and they will drain into your tub. Open the bathroom window to let the breeze help dry the clothes faster. If you have a laundry room (or a room with a drain), hang a line in there. Your clothes will take a little longer to dry because there isn't enough ventilation, but at least they will be in a safe location. Buy a drying rack and hang your clothes near a fireplace or heater, or right by an open window for quick drying. Remember to avoid direct sunlight, and keep them far enough away from the heater to avoid catching fire. For smaller items, such as socks and underwear, spin them in the salad spinner, and then hang them to dry. This speeds up the process by flinging out all of the excess water! Use this method for heavier clothes. Lay a dry towel on a flat surface and lay one item of clothing flat on top of the towel. Then roll the towel and press gently. This is meant to squeeze out excess water from the clothes and absorb it into the towel. Of course, if you have a large load, it isn't practical to do this with every single item because you'll need a dry towel for each item. 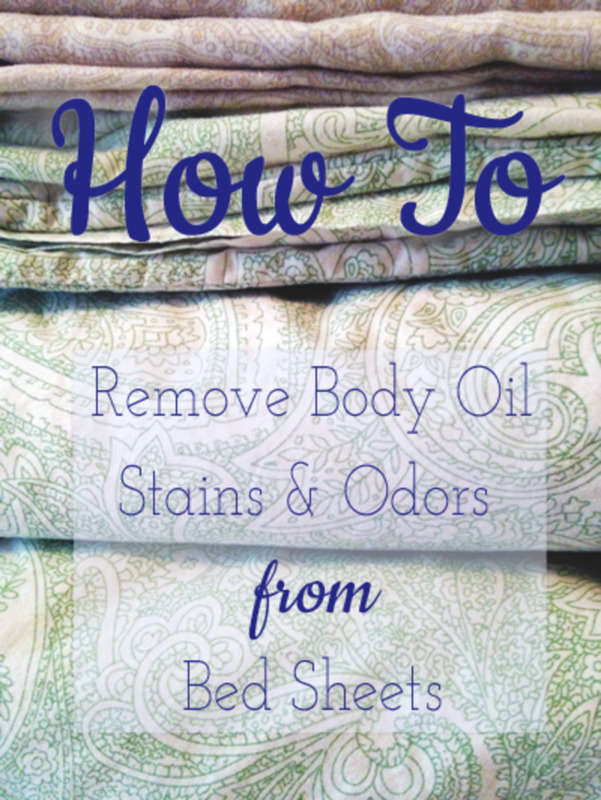 Reserve this method for sweaters or pants that you don't want to put through the wringer. After doing this, you'll still need to hang the clothing. This just speeds up the process by removing excess water. I could pack up my kid, load up my car with clothes, and head over to a laundromat to spend in upwards of three hours guarding my clothes while trying to entertain my kid. That would only cost me a few dollars in quarters and $3 or $4 in gas. 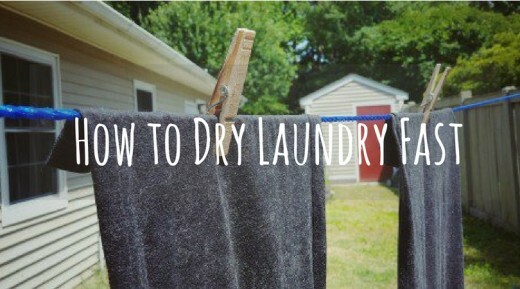 However, this method uses less water and less detergent. Sure, it's time-consuming and slightly burdening, but it's somehow grown into a family event. My husband wants to hang clothes, my kid wants to wash them and wring them, and this all makes for quite an entertaining 45 minutes of family time. I'm having fun, our clothes are cleaned, and I'm getting some exercise, all while saving money and sharing in laughs every few days. How to Wash Clothes: Make Whites, White and Colors Bright! Great read! Thank you for the tips!